Principal Chief Geoffrey Standing Bear has asked the attorney general’s office for constitutional clarity regarding funding priorities. In a memorandum dated Dec. 6 obtained by Osage News, Principal Chief Standing Bear requested an official opinion from Attorney General Holli Wells on two questions involving Article XVII of the tribe’s constitution. Article XVII lays out the tribe’s obligations to provide for the health, safety and education of its citizens, with particular emphasis on children and elders. The first question is whether Article XVII creates a constitutional mandate for the tribe to prioritize funding for programs and services that address at least one of the article’s four sections, such as the Health Benefit Card and the Elder Nutrition Program over other programs that do not have an explicit connection to one of the article’s sections, such as the Roads Department. 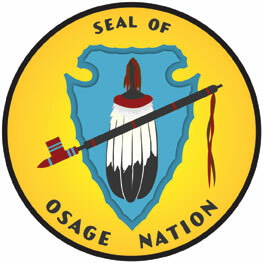 In the memorandum, Chief Standing Bear specifically asks whether that language requires the tribe to provide for education programs within Osage County over those outside the county. Among the education offerings potentially impacted by such a distinction is the tribe’s Higher Education Scholarship program, which is available to Osage citizens nationwide. The first 2019 budget to get approval during the 2018 Tzi-Zho Session, Congress appropriated $8.1 million for the scholarship fund on Sept. 11, 2018. The scholarship program, which received more than 1,350 applications for this academic year, has a larger budget than the combined appropriations for the three Head Start sites, the four Wah-Zha-Zhi Early Learning Academies and their administration office, the Osage Language Immersion School, the Johnson O’Malley Program for Native American students across 12 Osage County school districts and all the line item programs listed in the Education Department’s budget. More than two weeks after the scholarship program’s budget was signed into law, the combined $7.91 million in appropriations for those programs were approved as part of ONCA 18-48, a multi-department omnibus bill. 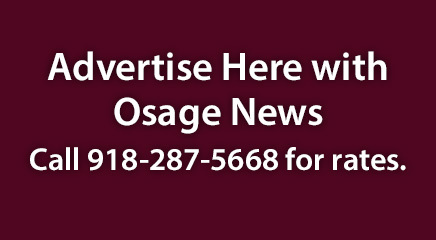 The published eligibility criteria for Head Start, WELA, the Education Department’s tutoring voucher program, the Summertime Achievement Reward and the College Entrance Assistance Program do not have residency restrictions, with the latter three explicitly made available to Osage students nationwide. The tutoring voucher program provides up to $3,000 per student per academic year. The College Entrance Assistance Program, which covers fees associated with the ACT, SAT, test preparation programs, Advanced Placement exams and college application fees. The Summertime Achievement Reward, or STAR, provides financial aid to academically gifted junior high and high school students to participate in summer enrichment activities. However, enrollment in Osage Nation-backed JOM programs and the Education Department’s Osage Nation School Support Program and Osage Nation STEAM Program are specifically restricted to children either living in or attending a public school in Osage County. Slated to be part of an Osage Congressional inquiry later this year, Dahposka Ahnkodapi has gone a step further and implemented geographic enrollment caps for each age group. Pawhuska, Grayhorse and Hominy each have a maximum of three seats per grade and all other Osage communities getting one or two seats per grade, depending on the age.